UNICEF Kenya partners with Pastoralist Child Foundation (PCF) to expand accessibility to community educational workshops and referral services. The Girl Generation is a social change communications initiative, providing a global platform for galvanising, catalysing and amplifying the Africa-led movement to end FGM. PCF partners with the Republic of Kenya’s Anti-FGM Board to raise awareness and provide programs to end FGM by the year 2030. 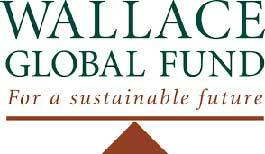 Wallace Global Fund provides support to Pastoralist Child Foundation for Anti-FGM/C Advocacy in Kenya. Servicing the Uniform Industry for 20 years with the very best offering of quality knitwear. Spirit in Action’s micro-grants support individuals, families, and grassroots organizations in Africa to start small businesses and community programs. Through HOW Global’s “Plant Not Cut” program, girls attend sleepover camps (offered by the Pastoralist Child Foundation) where they learn the dangers of FGM as well as proactive behaviors to support health and wellness.